Adam is an experienced litigator specializing in environmental, land use, regulatory and municipal law. He represents private parties, municipalities and government agencies in a wide range of issues including the environmental review and permitting of development projects under the State Environmental Quality Review Act (SEQRA), compliance and resolution of environmental enforcement matters before federal, state, and local agencies, zoning challenges, redevelopment of brownfield properties and site remediation. His work on Superfund cases includes the representation of a multi-national corporation at a complex contaminated sediment site and the representation of a Native American nation as trustee for natural resource damages claims. As a founding Board member of the newly-formed NYC Climate Action Alliance, Adam is committed to finding environmental solutions that help the City achieve its goal of reducing greenhouse gas emissions 80 percent and offsetting remaining emissions to achieve a carbon-neutral NYC by 2050. 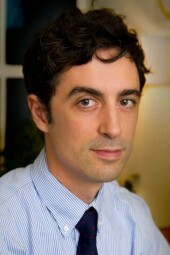 Prior to joining Sive, Paget & Riesel in 2011, Adam served as an Assistant Corporation Counsel in the Environmental Law Division of the New York City Law Department, where he defended the City’s initiative to “green” its yellow taxi fleet against claims of preemption under the Clean Air Act, brought litigation to defend the City’s watershed, and defended City infrastructure projects in cases involving SEQRA and ULURP review, the use of City parkland, and eminent domain. Before attending law school, Adam served as the statewide volunteer coordinator and aide to then-U.S. Senator Barack Obama, and as a communications officer in the United States Army Signal Corps.